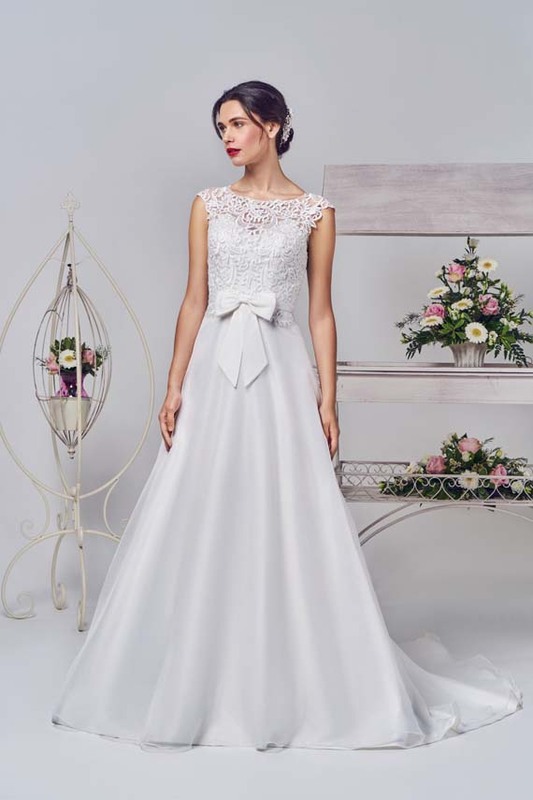 A unique style wedding dress with a bow front detail. The beautiful lace bodice has an organza overlay skirt. The high neck back flows down to a button back detail.